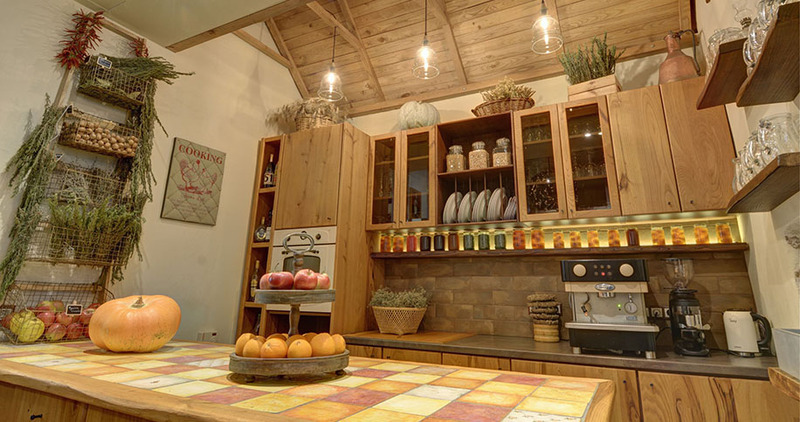 The mission is to offer our guests the culinary experience of a lifetime, in Greece. Our aim is to introduce to you the culinary treasures of our country and that's the reason we organised the "cooking lessons" for you. Exceptional local cooks pass on to you traditional recipes and technigues. 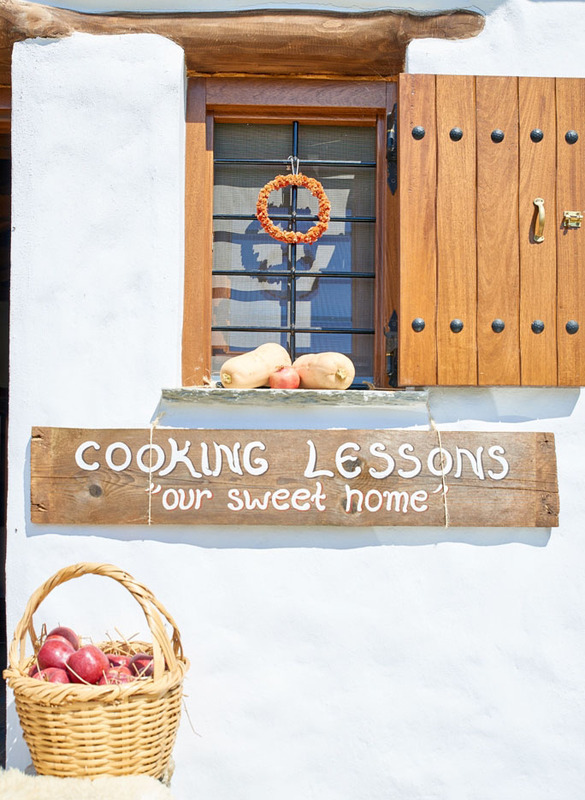 We invite you to participate in our traditional Greek cooking classes.The gastronomy, culture and natural landscape of Pelion will follow you back home through the traditional aromas and flavours of this region of Greece. If you choose the cooking experience in our farm, you get to collect the fresh ingredients from the garden, make a stop at the chicken coop to pick up fresh eggs! 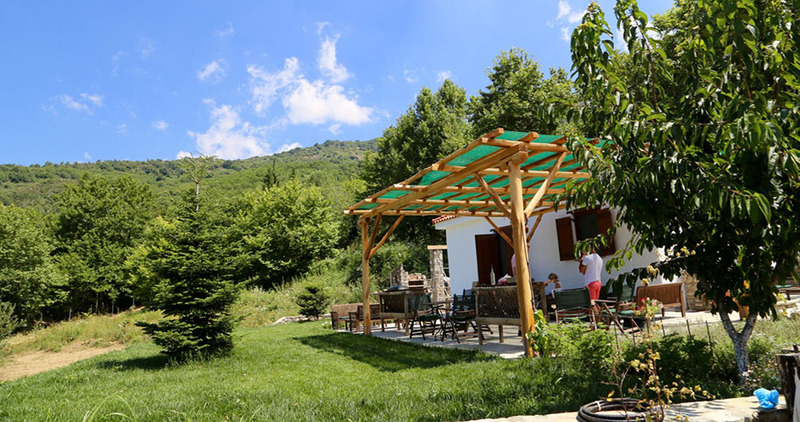 Enjoy the noon or afternoon with us in the Pelion countryside with a glass of wine in your hand, cooking at ease in our family kitchen and then devour the delicious foods you have just created! Does it get any better? Creating & sharing a meal with friends & family around the table with the freshest ingredients prepared simply! 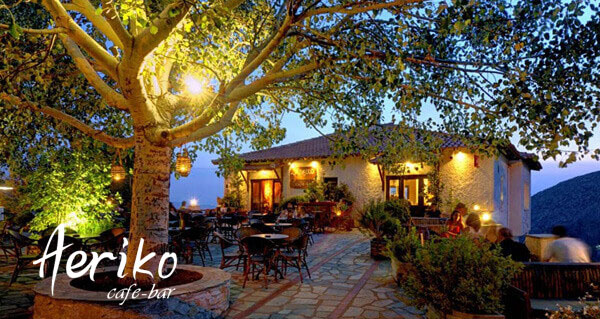 At the slopes of Mountain Pelion, a few klms after Portaria Village you will found our land named Karaiskos Farm. 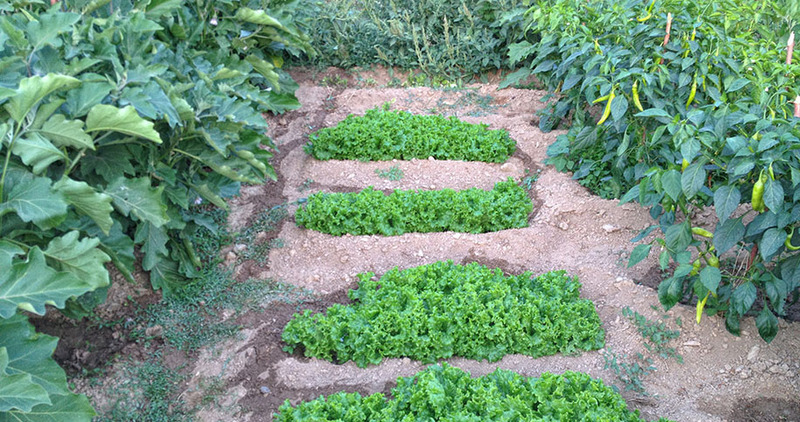 This land belongs to our family and one son Stefanos has created there an ecological paradise where we produce organic fruits, vegetables and herbs. On the territory of our land there is a small farm with donkeys, chickens and rabbits. Also you can ride the ponies around the farm. 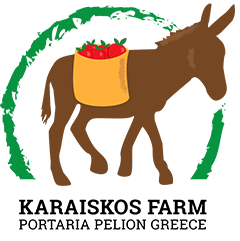 Potatoes, tomatoes, cucumbers, zucchinies, eggplants, pumpkins, peppers, radishes, beets, carrots, juicy lettuce, onion, oregano, parsley, dill, greens, other edible herbs and mountain tea. We grow trees with apples, plums, cherries, quinces, sour cherries, figs, peaches, apricots, pears. We even make homemade liquors, jams and "spoon sweets"! What we don't produce ourselves we source locally. 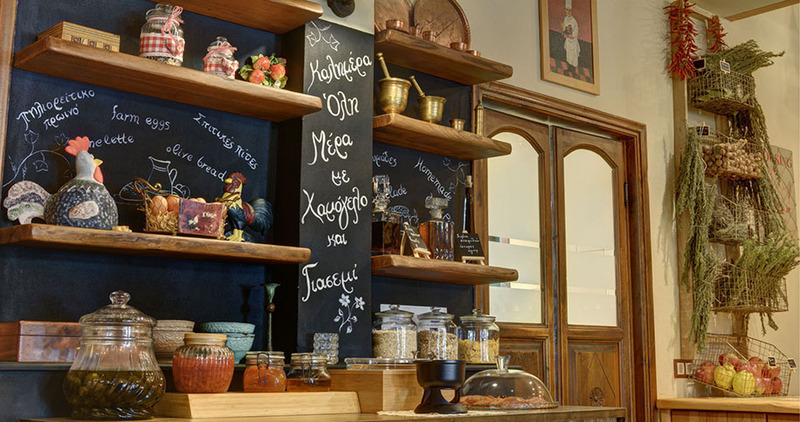 Kritsa gastronomy hotel is known for its quality "Greek cuisine", member of "Hellenic Republic Ministry of Tourism" and has even won awards for its dishes, presenting the best of regional gastronomy and local flavors to visitors. It is also a member of the official ‘Greek Breakfast’ initiative, meaning that you’re going to have a fantastic breakfast every morning! Some of the goodies on the breakfast table – which varies every morning – include homemade biscuits, cheese and olive bread, sweet bread (tsoureki), fresh fruit, pine honey, local cheeses such as feta and kaseri, Pelion olives, Greek yogurt, country sausages, omelets, preserved fruit (‘spoon sweets’) and of course freshly squeezed orange juice. There is also a number of delicious savory pies, that are part of the Greek mountain tradition, including zucchini-cheese pie, red pepper pie, leek and meat pie, spiral cheese pie. In the winter, enjoy a cup of aromatic local herbs or try the ‘trahana’ soup made with sheep’s milk. This is one gastronomic trip you won’t forget! 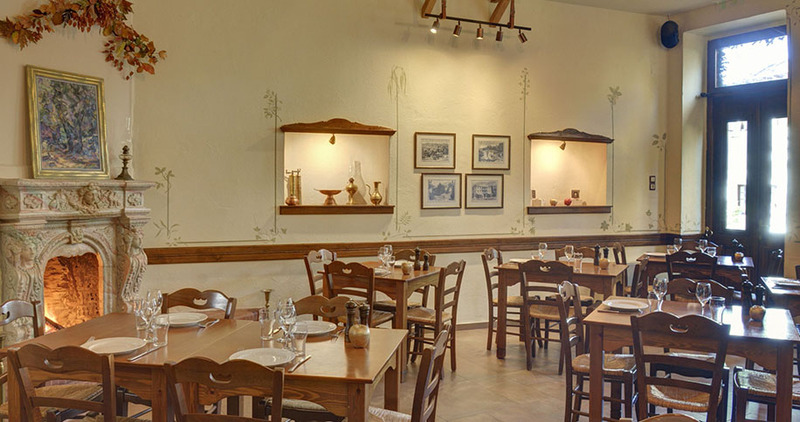 Taste traditional Greek recipes with fresh local products. 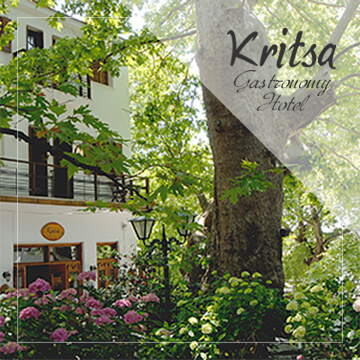 Kritsa Gastronomy Hotel is member of “Greek Breakfast” from 2012. Spread your wings from Volos city! 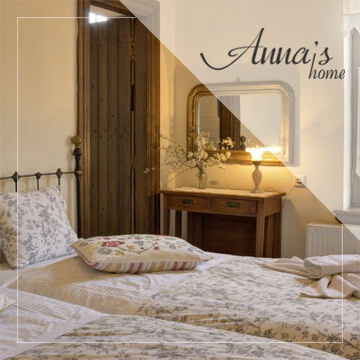 You could choose an alternative holiday experience, by staying in our bike friendly hotel and guesthouse with Greek breakfast, where you can participate in eco- or agro-touristic activities. Lots of things to do! You could do something as simple as taking a walk through the mountain, but if you want an adrenaline boost, there’s mountain biking, canyoning and a lot more…You could also, participate in cooking courses and wine tasting. 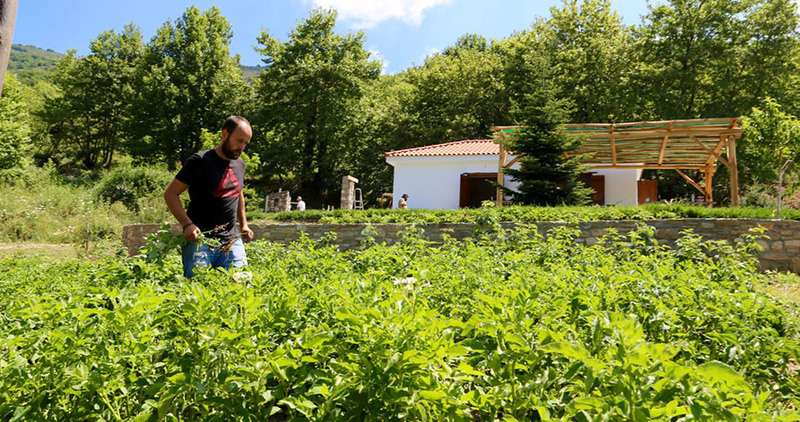 Let us give you some ideas for alternative holidays in Mountain Pelion, Thessaly, Greece.